This spring, there’s a palpable excitement in school hallways across the country — graduation is approaching, and, for many high school seniors, college is just around the corner. 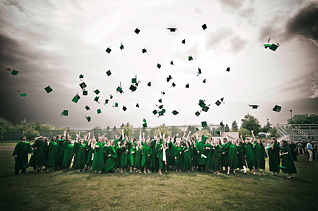 Whether your own child or other students in your neighborhood are graduating, the sense of accomplishment in receiving a diploma is well-deserved. For college-bound students, there’s also anticipation for the educational journey ahead. And their bright potential future extends beyond their four years on campus: the lifelong benefits of graduating from college are plenty. The vast majority of parents (89 percent) strongly value higher education as an investment in their students’ lives. College-educated adults are more likely to be active citizens and lead healthier lifestyles. They’re more likely to be employed than those with just a high school diploma. They also earn more annually — about $17,500 more, according to Pew Research. Yet, even as students look forward to their college careers, too many young people are worried about how they’re going to pay for college. Student loan debt is pushing $30,000 nationally, afflicting a generation of student borrowers. Increases in student loan debt are delaying graduates’ abilities to save for retirement, start a family and keep up with daily living expenses. And decreases in federal grant aid and parent contributions place more burden on students while they’re in school to cover the cost of tuition. 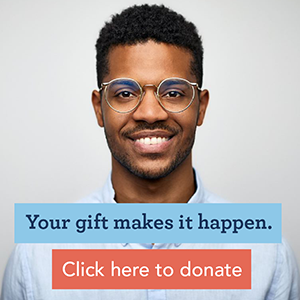 Students need our help, and there’s no better time to support them with the gift of a scholarship. By 2018, the U.S. will be short 3 million workers with the right education to do the jobs our workforce needs. Scholarship America is striving to meet that demand. We impacted more than 100,000 students last year, and our goal is to help 750,000 students complete their education beyond high school with manageable debt by 2025. Rather than worrying about how to pay for college, private scholarships allow students to focus on what’s most important – their education. By supporting Scholarship America, you’re helping students like Buki, a current college student who worked three part-time jobs to help her family financially during high school. As the fourth sister to be enrolled in college at the same time, scholarships meant Buki could attend her college of choice. “Without help, it was just impossible,” she said. As students head to college, their excitement shouldn’t be dampened by the stress of how to afford it. We need your help to make college a reality for all. Together, we can contribute to a student’s college education — and future success.